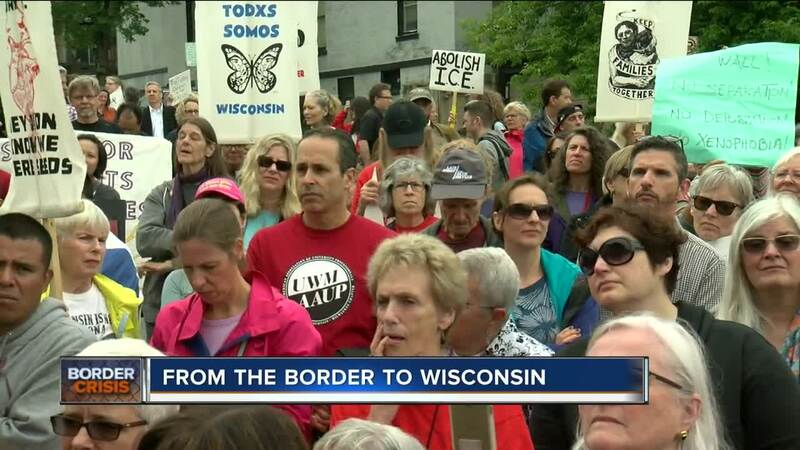 While politicians are working to develop a more permanent solution to immigration, people across the country held rallies and Milwaukee is no exception. 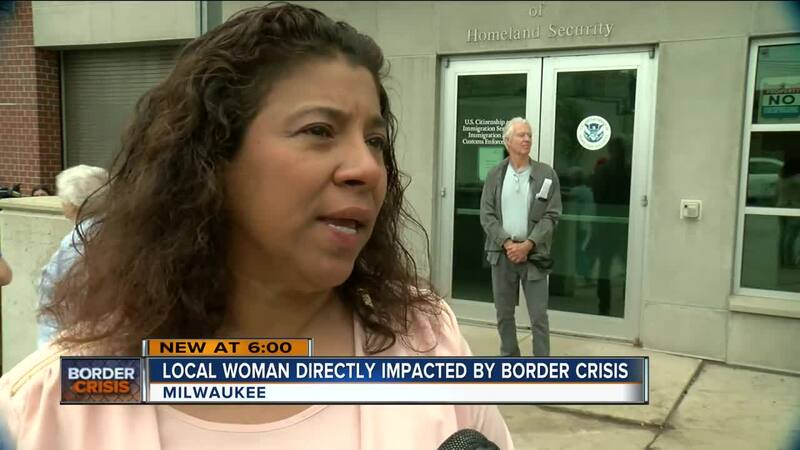 Voces de la Frontera organized a rally outside the Homeland Security building downtown Milwaukee Thursday morning. "When people said keep families together we did not mean keep families together in modern-day internment camps," said Christine Neumann-Ortiz, Executive Director of Voces de la Frontera. More than 500 people protested separating and imprisoning immigrant families. "I feel really sad that politicians, nobody is really doing anything to change things," said Gerardo Lemus, protestor. "I told my 6-year-old I was like when people do terrible things we stand up and we tell them to stop," said Megan Westra, protestor. Ondina Andino has family separated at the border. Her brother-in-law and nephew have been in different internment camps for more than a month, after leaving Guatemala. She said they hoped for a better future. "We can not just keep quiet so this don't continue separating the families," said Andino, whose family was separated at the border. "We need to stand up together." She said her brother-in-law is living in awful conditions. "They put them to work for about two-three hours in the sun consecutive and then put in a very cold place for another two-three hours the whole day and sometimes they don't get food for about two days," said Andino. Andino's nephew seems to have a better living situation. "He's taking classes and he gets meals, but he's very sad to be there. When he calls us two times a week the first thing he tells us is let me out of here," said Andino. Andino said seeing people gather to support families like her's is encouraging. "In the beginning, I was feeling alone doing this on my own, but now I feel that we have a lot of people in the same situation," said Andino.